The best option for parking is across the street at the Cambridgeside Galleria. Parking at the Galleria is $4/vehicle. dante accommodates events for every occasion and every size group. Multiple event spaces allow cocktail style receptions, sit down dinners, brunches and lunches. 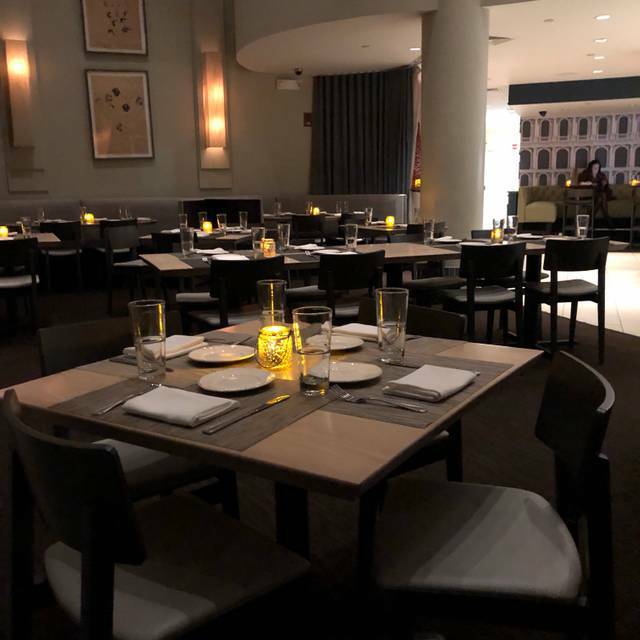 Contact Kelly at 617-497-4219 or events@restaurantdante.com to ask about specific spaces and dates, and/or to receive our reception, passed appetizer, sit down and buffet style menus. dante caters any event, from business luncheons to weddings. Also ask about our special Private Chef Dinners, have chef Dante de Magistris cook exclusively for you and your guests in the comfort of your home. Facilities: From business dinners and luncheons to weddings, bar/bat mitzvahs and christenings dante’s dynamic layout can accommodate any event of up to 250 guests. Restaurant Dante consists of eight different areas that flow seamlessly together, each with its own unique flair: two separate dining rooms, two bars, two lounges, a private balcony for parties of up to 26 guests, and a large outdoor patio overlooking the Charles River and Boston’s skyline. Our team will work closely with you to craft an event that reflects your needs and expectations. the Boston skyline and its superb cucina (haute cuisine, Italian style). Food, atmosphere, and service were wonderful. Dante was an excellent value - much more than I would expect of a restaurant so conveniently located in the hotel lobby. While the noise level was initially high, to the extent that we were going to leave, they turned down the music volume and it was much improved. Service was excellent and the view outside was lovely. The food is consistently delicious at Dante's and this visit was no exception. The server was very accommodating, attentive without being intrusive. It's a great place for a business discussion as our request for a quiet table was answered. I'd recommend Dante's and will certainly return. One of my favorite restaurants. Very cozy place with an amazing view of the Charles and the city of Boston. I highly recommend the grilled octopus and the tuna tartare appetizers. A must try location!! I was quite disappointed in the food. We had a prix fixe Valentine's Day menu, and thought that, generally, the meal was not creative and rather mundane. We do not plan to return. Food was OK - far too expensive for the quality received. Chicken Marsala was dry and the sauce had separated on the way too hot plate ( clearly sat under a sali for a long time). There is better, less expensive food in the greater Boston area. I will not be returning. Needless to say, the staff were very attentive. Our party of three had a late lunch (3:30pm reservation) before attending an event nearby. While the food was excellent, the experience was somewhat odd. We made the reservation on OpenTable, after searching for restaurants in Kendall Square that served a late lunch. Our waiter was extremely friendly and helpful, and presented us with menus and took drink orders (we were the only customers). We ordered, and the waiter hesitated when I ordered the cod entree. I asked if there was a problem and he said no. A few minutes later, a woman came to our table and explained that they were only serving a few appetizers at this time of day, but the pastas that the other two of our group would be fine. She would check with the kitchen to see if they could do the cod. We told her there was no indication on OpenTable that the menu was limited. My daughter had also looked at the website before we booked it to check the menu and did not see any restrictions to having lunch there at 3:30pm. In fact, their website allows you to book a table in the afternoon. In the end, they did serve us our lunch, which was great, and our waiter couldn't have been nicer, but we did feel that we weren't supposed to be there so it was a little uncomfortable. I have been to Dante several times recently and am never disappointed. Lots of creative selections, food is very well prepared and everything I had was delicious. Good portion size. Mediterranean/Italian influenced. Went to dinner for NYE. Seated at 915. Was a 4 course pre fix menu. Serving staff were not prepared for a crowd. Got my entree after midnight and just skipped desert due slow service. Had to order drinks directly from bar due to server being too busy. Food WAS good but difficult to give accurate description due to New Year’s Eve. Great fun for new year's eve! Delicious meal, view of Boston, dancing! The room is lovely and the service was good. The menu is nice. But the kitchen had a heavy hand with the salt, making several dishes unpleasantly salty. Granted it was Xmas Eve so probably the usual staff was not there, but I checked in with my husband for my 6:30 Reservation for 4 at 6:00, and was seated, no problem. The server DID move us to a nicer, quieter table when we asked to be moved from the large loud table next to us. So I did appreciate that. The rest of my party arrived at 6:30 and were told there was no reservation under my name. They waited 20 minutes trying to find out where we were (inside the restaurant the entire time). When I realized the late hour I checked my phone and found they were on the brink of leaving as the restaurant said we were still not there. Bad enough, but when they were finally seated, we waited another 20 minutes for their drink order to arrive. Sorry, but they should do better. Ruined what should have been a lovely Xmas Eve dining experience. Food was ok.
We had the pre-fix meal for Christmas Eve and were very unsatisfied. The food was too salty, bass was bland and soggy skin, overpriced. Very Good pasta, Good options of wine. The main thing to be said is that the food taste and quality were exceptional and that is what I would return for, though the service was also excellent (when we commented on the high quality of the olive oil our server returned later with a picture of the label - not a market brand). Tables were somewhat close so noise level varied with the persons seated nearby, sometimes distracting but never prohibitive. Price was also quite reasonable. Extremely salty entree. Chef recooked slightly better. But not great food just ok but not great. Again too much salt in each dish for each person. We all got different dishes. Was pleasantly surprised at the selection, quality, and amount of food. Great meal and good service. I had great dinners at Dante. This one wasn't. The Octopus was outstanding, but the rest were nothing special and very overpriced. Great service; polite and attentive servers; service prompt; food preparation and presentation outstanding; great low-key, elegant ambience. Excellent in all respects. Food and service very good and Italian cuisine was authentic. Having lived in Italy, we are sometimes disappointed in "Italian" food. No disappointment here, palpate, calamari, pasta and banga cauda shrimp was outstanding. Would visit again. Great meal to celebrate 17. Food was excellent. Wait staff very diligent. Nice pace to the meal. Great spot to sit at the bar and have a glass of wine and great food. They have TVs so we could watch the redsox during dinner. Friendly staff. I’m so disappointed. My friend was visiting and I wanted to take her to a nice restaurant. Dante patio has been my favorite place in cambridge. But they closed it at the day. When i book, i said i want to be seated outside. If Dante was planning to close the patio, they should’ve let me know so that i can change plan or cancel. While Dante has very good food, the service on the night we went was unfortunately terrible. 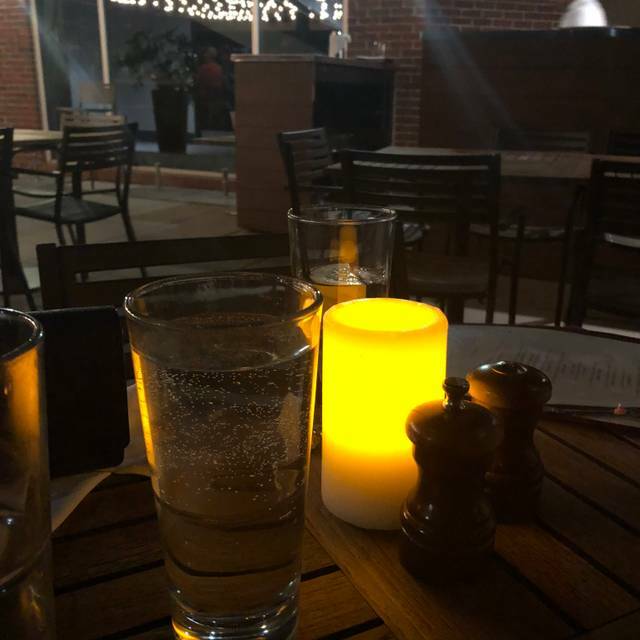 We sat for over 15 minutes without anyone coming over to even offer water, then finally decided to move to the bar as the patio was getting dark and chilly - we thought there was more light at the (still outdoors) bar and it would be warmer. Additionally, l thought we might get some service, but again, the bartender was more interested in talking to her co-workers than providing service. A restaurant needs to provide more than just good food. Service and welcome are an important part of the experience! I hope they take note and try to do better, as the chef is putting out some very nice dishes. The food was excellent. The air was a little chilly (it was the beginning of Fall) and the staff brought us light blankets to cover our knees, very nice touch! Servers are not professional. They are really bad at timing and we often walk around to find servers. We enjoyed the food. The service was excellent. The portions were small, and the tiramisu was a little disappointing. It was very dry and not fluffy the way I prefer. The restaurant overlooks the Charles River and it was very pleasant. The food was very good and the prices fair. The starters were yummy which we shared. The staff was friendly and good. We enjoyed the wine wine and our dinner and will return! We made a reservation for this restaurant hoping the weather would be good and we could sit outside and enjoy the view of Boston. Unfortunately the weather didn't cooperate and we sat inside, which was fine but nothing to rave about. The food is not something I'd rave about either. The appetizers were okay to good (i.e. fried calamari and meatballs), but the entree pastas were terrible. I got the spaghetti vongole (with clams), and it had about 8 very small clams (out of the shell), in a sort of congealed, flavorless weird sauce. This is such a simple recipe - clams, wine, olive oil and garlic, and it was the worst pasta I've ever had. My husband had the gnocchi and supposedly "SPICY" sautéed calamari and both were bland and flavorless. I suspect Olive Garden would be better pastas than this restaurant! The only reason I'm giving it 2 stars is because the appetizers were okay. Food and atmosphere were excellent Italian with Charles Riverfront and Downtown Boston views. Date night for my husband and me. Loved being on the Charles! Pleasant evening. We had several cheeses and prosciutto for appetizer, very nice. I had the salmon with risotto (ate it all ) and my husband had the special Pork Chop which he enjoyed greatly. Service was pretty good but we ran out of water a couple times. Love the patio. Bartender knows what he/she is doing. Food is quite good. We always try to visit during the warmer months, when outside tables offer great views of the sun drenched Boston skyline. Since you are out by the bar, it can get a little exuberant but generally it is not too loud. Drinks are not inexpensive, but you are paying for the view. I enjoyed the polpette (3 large, tender meatballs ..well flavored with a nice tomato sauce) and a half size portion of shell pasta with shrimp & scallops. The dish was ample in size and very good, with just a little heat in the cream sauce. My wife was a little less impressed with the octopus. Usually it is not hard to get a table, but call ahead or check OT to be sure. It often works out, even under spur of the moment circumstances.